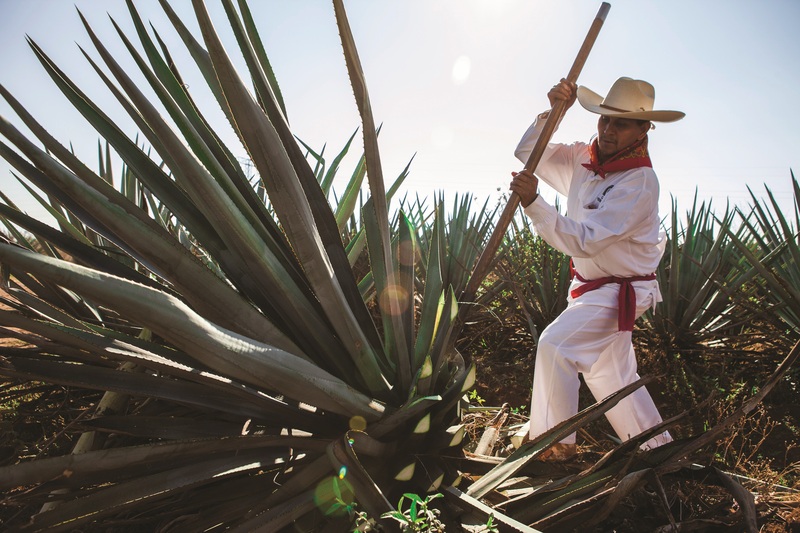 THE LEXICON OF tequila is changing. Where once it was about the shot, now it’s about the sip. Where a gulp led to a grimace, now it’s a grin. Where the taste was sharp, now it’s smooth. This is not merely semantics either – although ‘premium’, ‘super-premium’ and ‘ultra-premium’ are words liberally bandied about by producers and marketers, there are figures to back up the notion that tequila is indeed ramping up the quality level and attracting new consumers as a result. Tequila is currently globally a 26m-case category, but the majority is concentrated in its biggest markets, the US and Mexico. Brandy Rand, IWSR vice-president, US marketing & business development, says: “Tequila has been on an upward trajectory of growth in the US market over the past 10 years. In 2015, the category reached more than 15 million 9-litre cases, a 5% growth over the year prior. We do not see this trend slowing down and forecast the US tequila market to reach 18m 9-litre cases by 2020. The US is the number one market for tequila globally. Indeed, the most recent IWSR data shows that tequila has overtaken rum to become the third best-performing spirit in value terms in the UK, with vodka leading and whisk(e)y in second place. This is pretty groundbreaking as it was always going to be a tall order for tequila to start turning its image around. For decades it has endured a reputation as the shot that caused the hangover for countless frat boys, sorority girls and anybody else across the world who liked to party in their late teens and early 20s. The memory of that first spirit hangover can linger for years, so it’s no wonder those first hasty tastes didn’t lead to a lifelong love affair with tequila for most – those college years were enough to make them leave the category and not feel inclined to return.